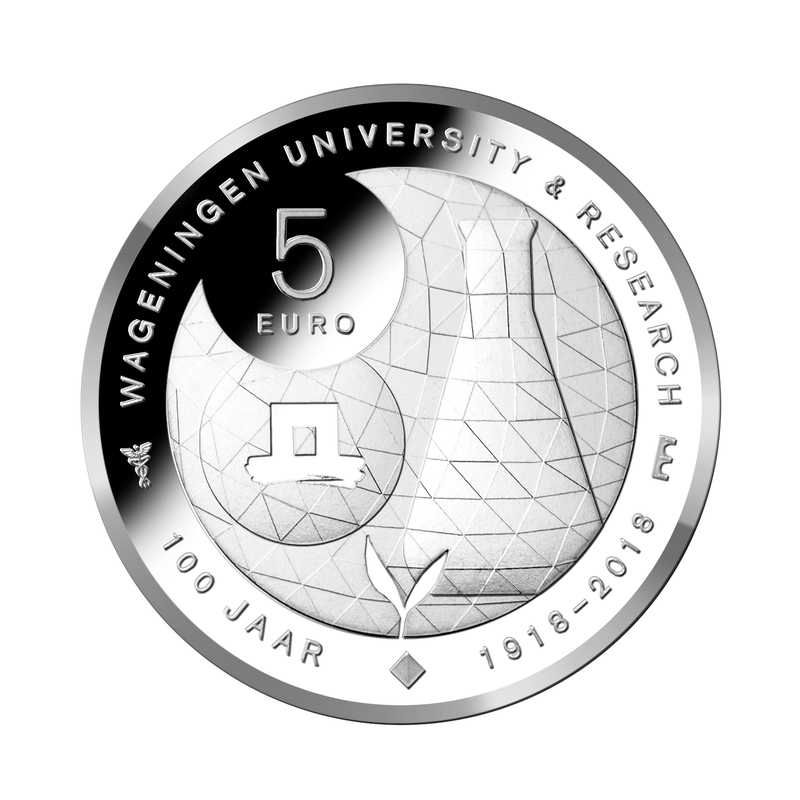 This year Wageningen University celebrates its 100th anniversary - and the Royal Dutch Mint issues a €5 collector coin on that occasion. The piece was designed by Malin Persson, a Swedish artist who lives in Amsterdam. Somewhat surprisingly, the inscription on the reverse is not in Dutch. Then again, the official name of the institution (Wageningen University & Research) as well as much of the education and research activities are in English. The dominating design element on both sides, a sunflower, combines nature and mathematics in an interesting way: A sunflower is not only an attractive plant but also a natural example of Fibonacci sequences. There will be a base metal version that can be had at face, but also various other versions - silver, gold, colored etc., see here. The ceremonial first strike will be on 2 November, at the Wageningen campus, but the coins can be pre-ordered now. A nice coin, plain and simple. Hopefully this amount of English is a one-off. I have just obtained a few UNC coins in coincard and I am very disappointed. The relief on the reverse is way too plain. The reverse design is hardly visible. After a second look at the coin I noticed that the "100 years" in the graphic image above was changed and appears in Dutch on the minted coin (100 jaar). I am glad about that.